Jon Favreau (writer, director and producer) leads a hilarious all-star cast including Sofía Vergara, Scarlett Johansson, John Leguizamo, Bobby Cannavale, Dustin Hoffman, Oliver Platt, Robert Downey Jr. and young actor Emjay Anthony in this deliciously entertaining comedy about starting from scratch. 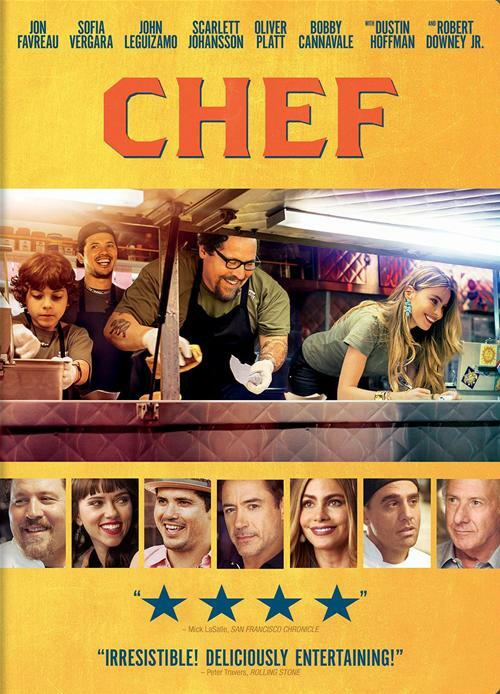 When gifted chef Carl Casper (Favreau) suddenly quits his demanding job at a trendy LA restaurant, he's on his own to pick up the pieces of his once promising career. Finding himself in Miami, he decides to team up with his successful ex-wife (Vergara), best friend (Leguizamo) and son (Anthony) to launch a no-frills food truck business. Taking to the road, Carl reignites his passion for the kitchen and, along the way, discovers a renewed zest for life and love.